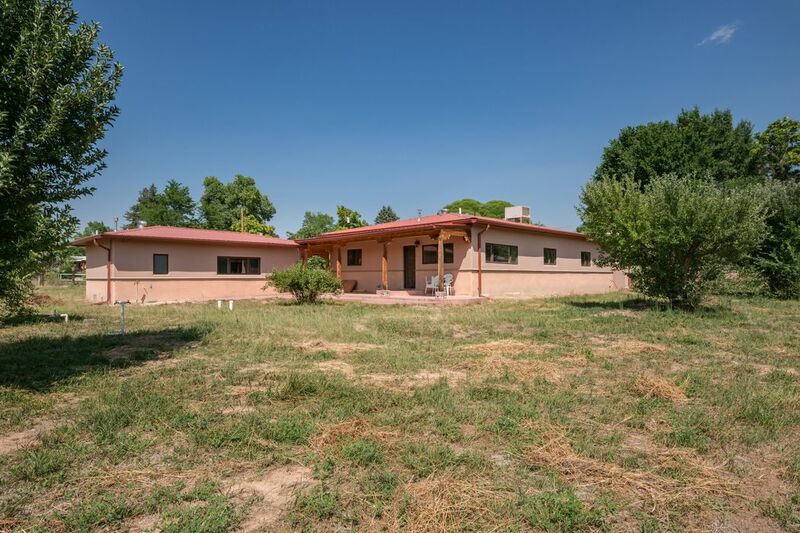 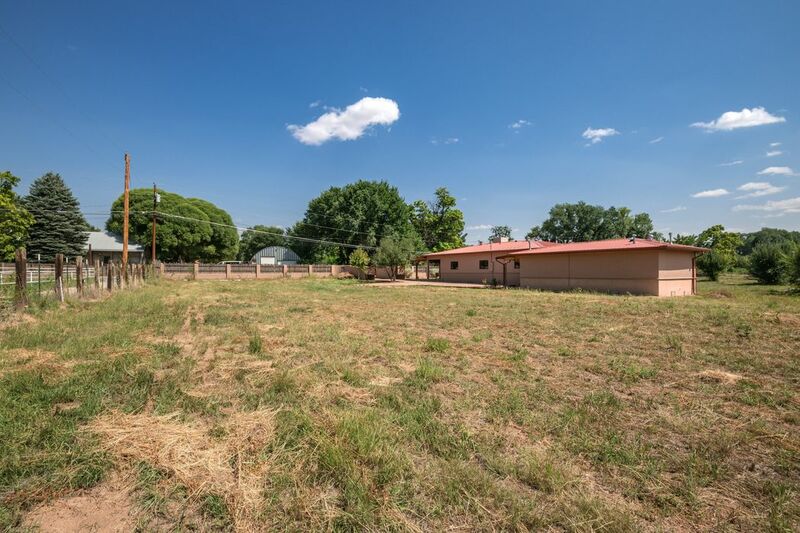 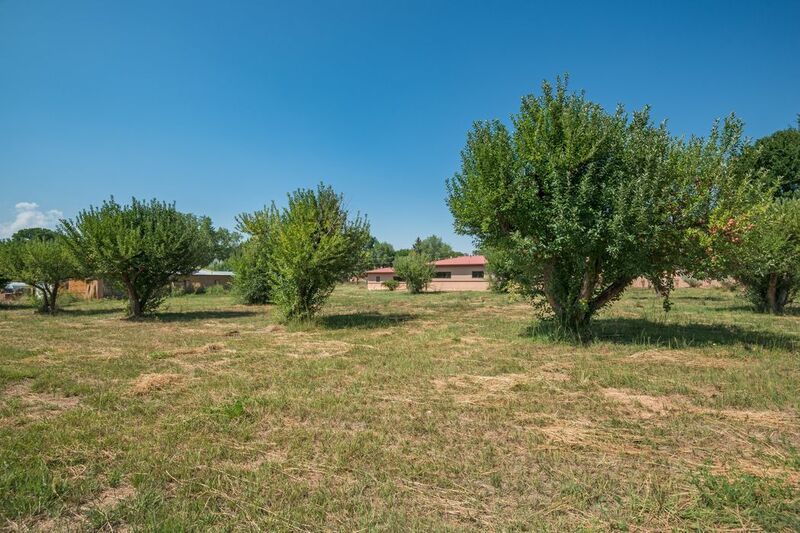 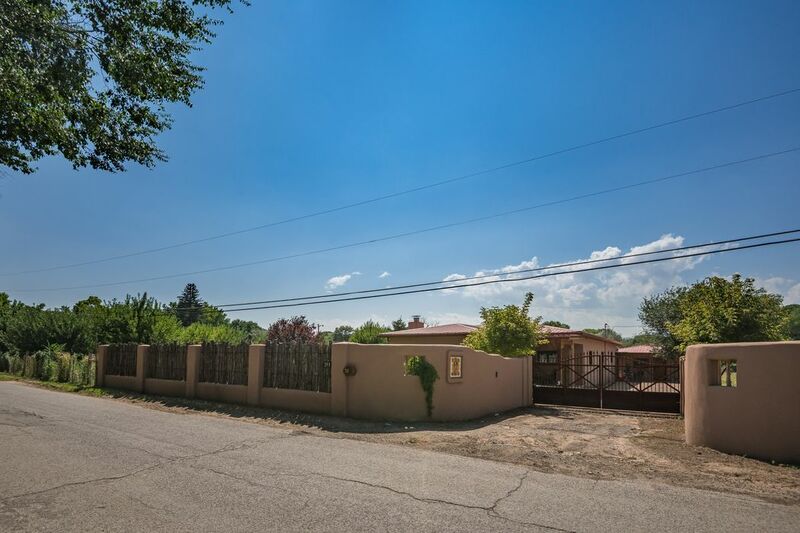 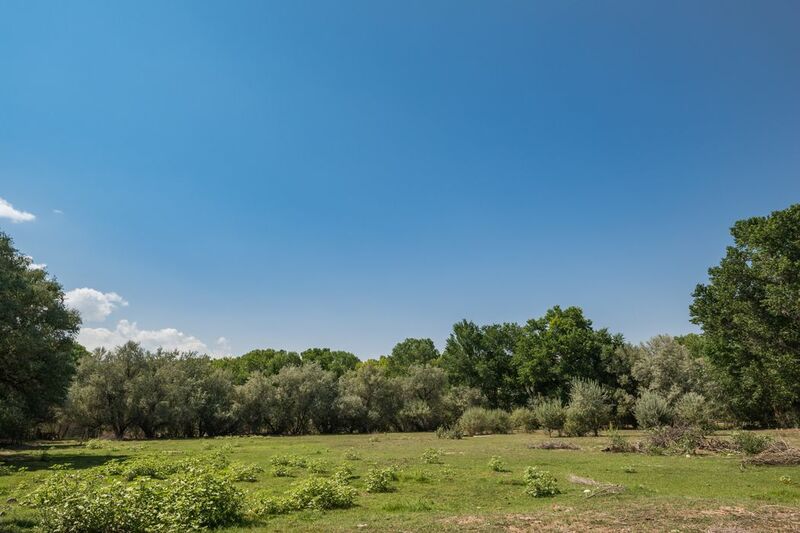 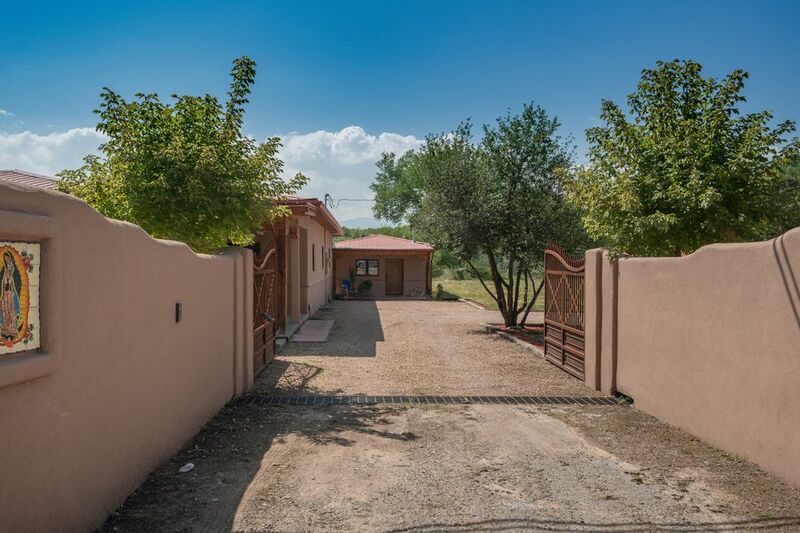 201 Lower San Pedro Rd # SR369, Espanola, NM 87532 | Sotheby's International Realty, Inc.
$485,000 6 Bedrooms4 Full Baths3,427 sq. 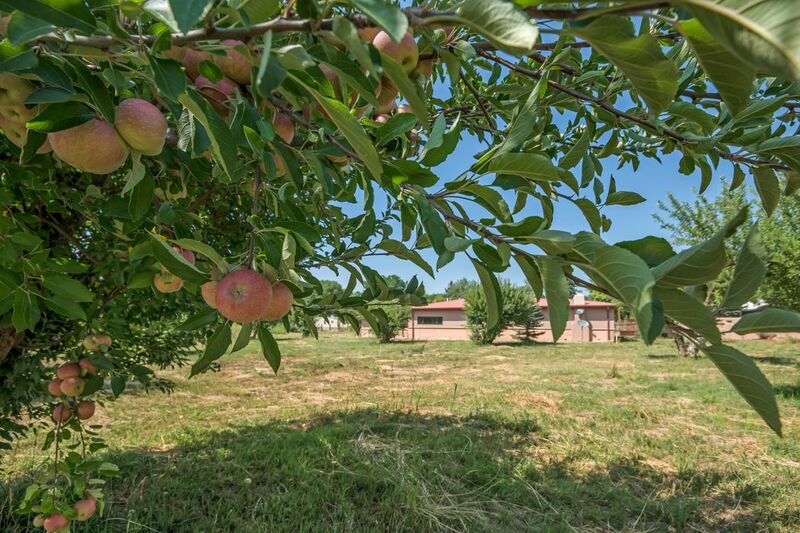 ft.
Rare location for this custom home Located on more than 6 acres with fruit trees and completely enclosed to have horses! 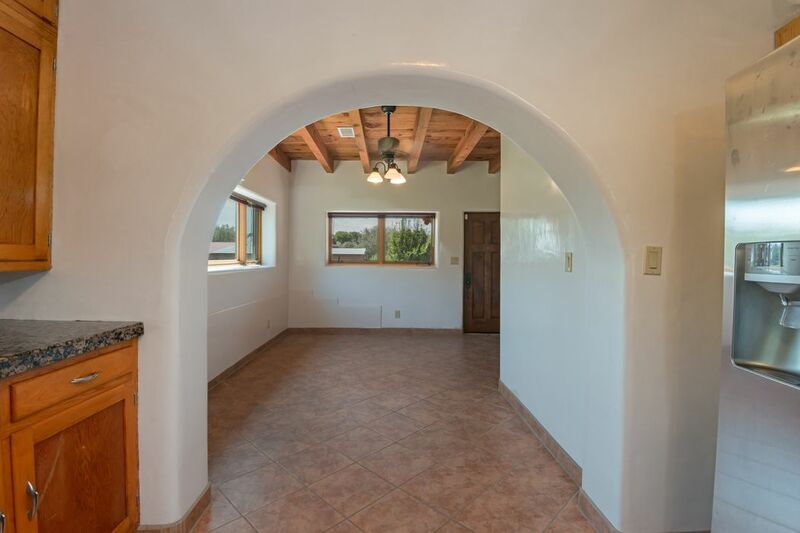 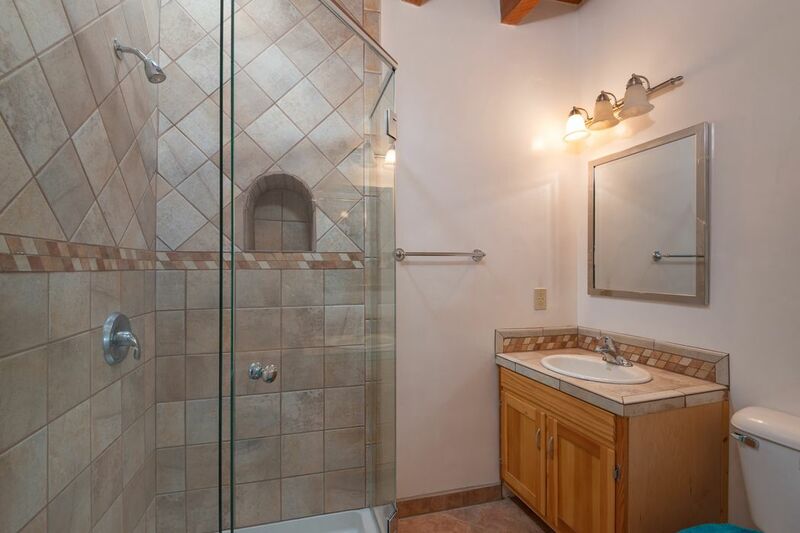 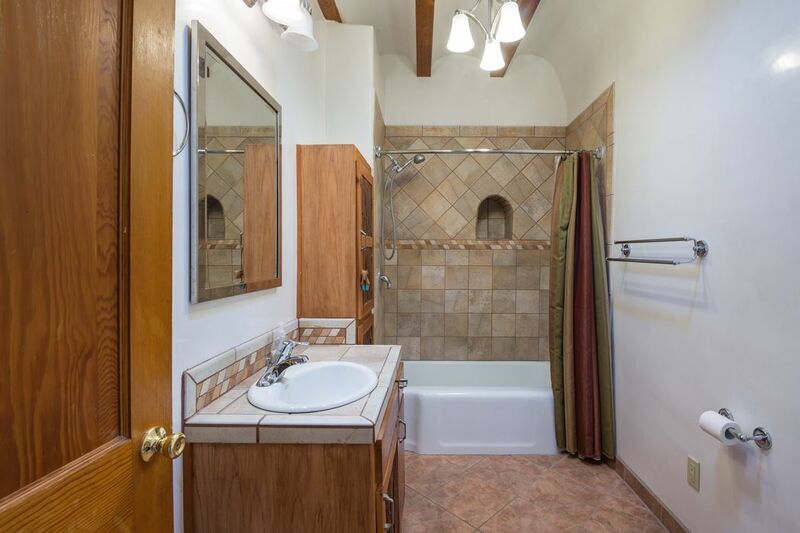 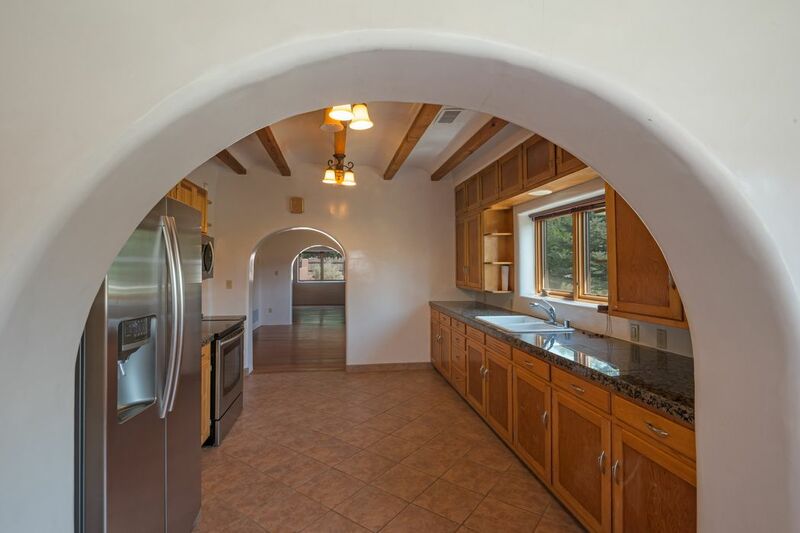 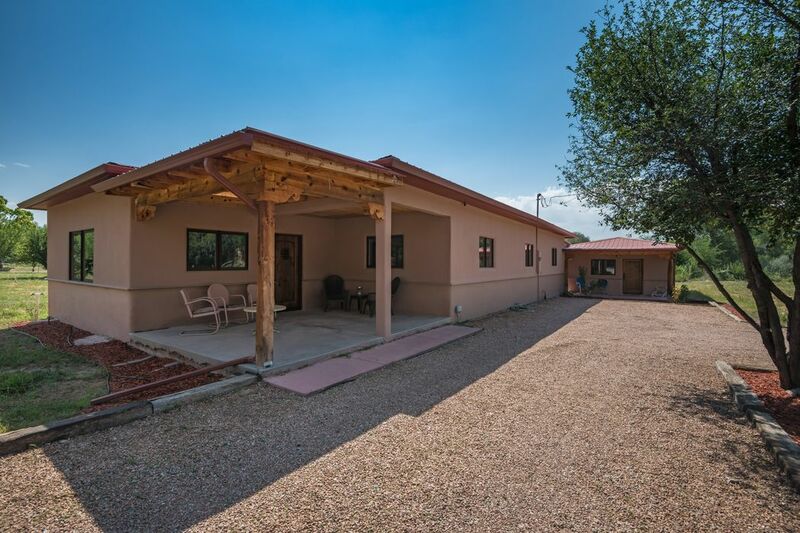 This is a beautiful 4 bedroom 2 bath main home located on the Lower San Pedro Road, near the Rio Grande. 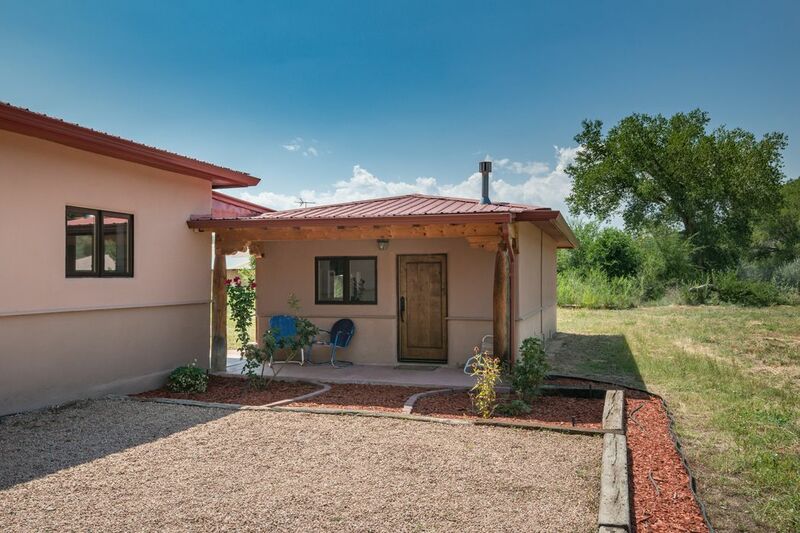 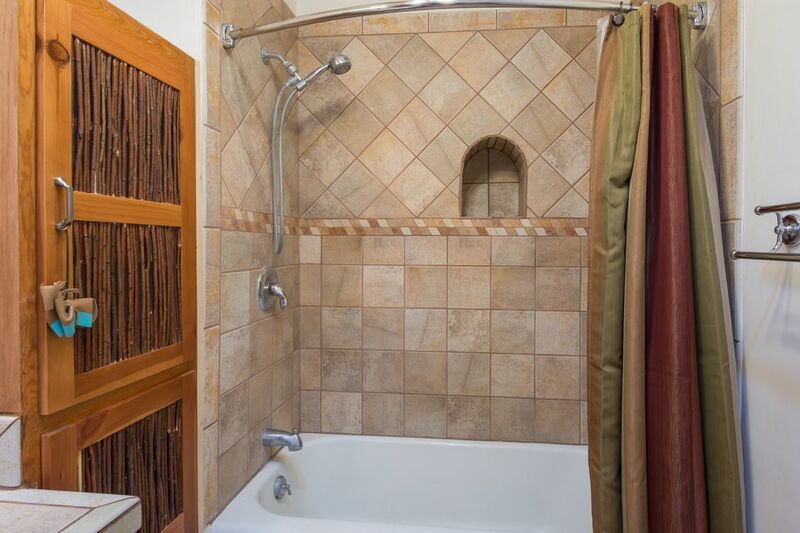 Also features a custom-built guest house with small kitchen area, one bedroom, living area and full bath. 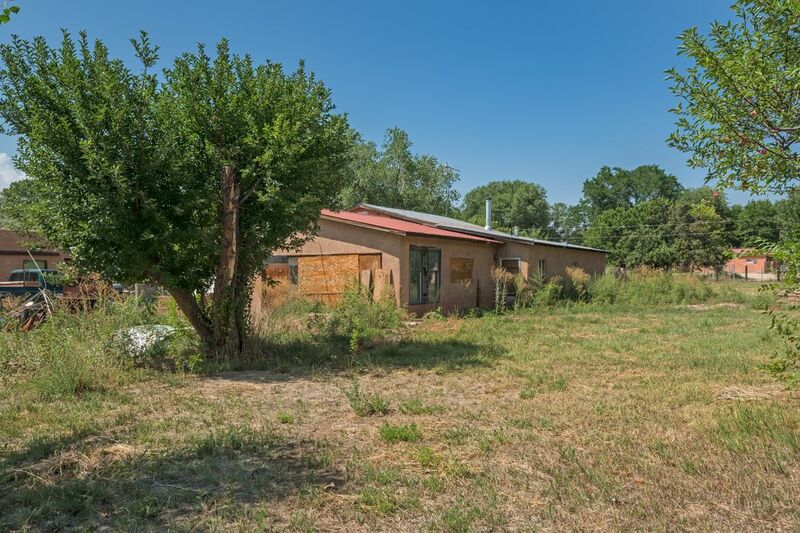 There is a 3rd home on the property, which needs renovation. 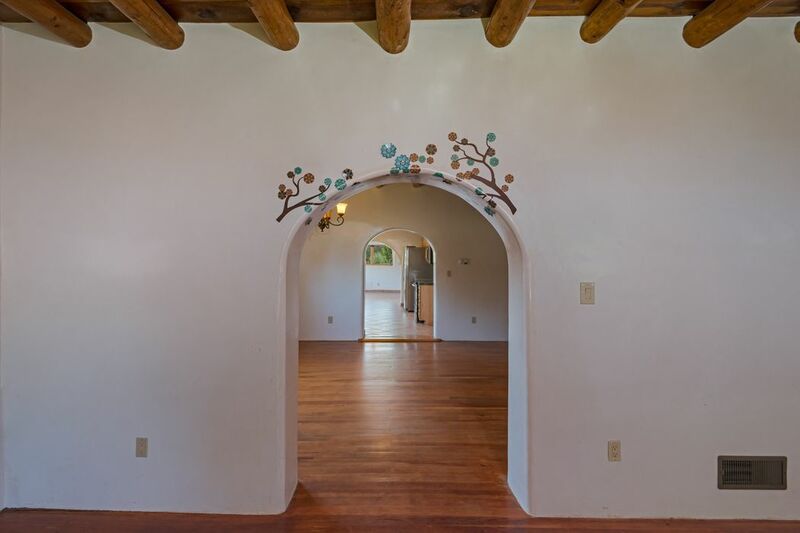 Enter through the rustic entry gates, with an walled Southwest-style walled front yard. 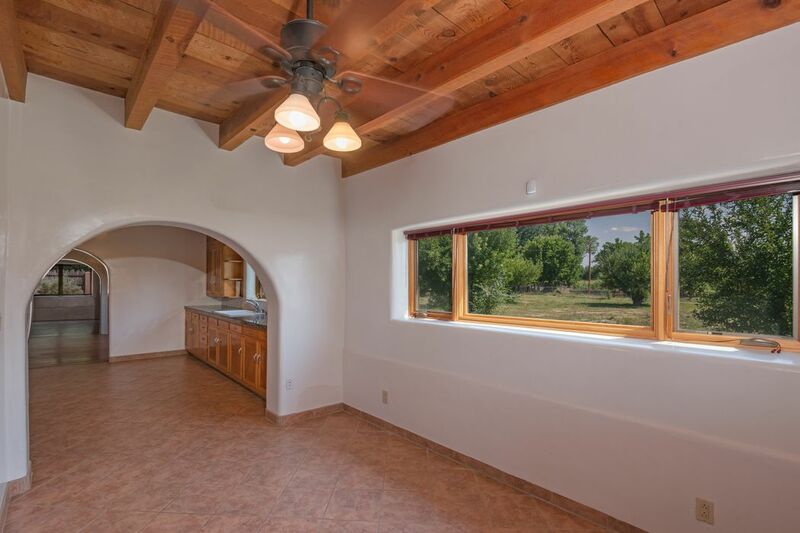 Exceptional private views can be seen from both the front and back porch, which provides ample shade for you to enjoy the lovely landscaped gardens, fruit trees and pasture. 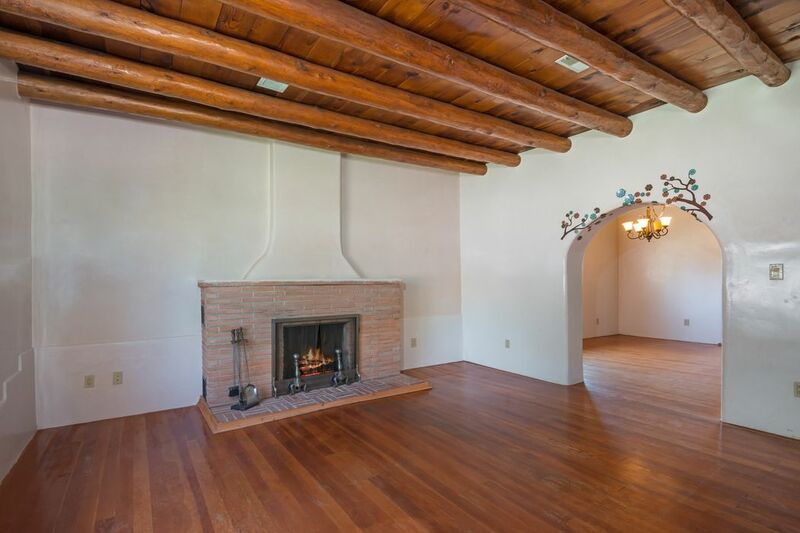 Once inside, the living and dining areas flow together in the open floor plan, with polished wood floors and a graceful vega and beam ceilings. 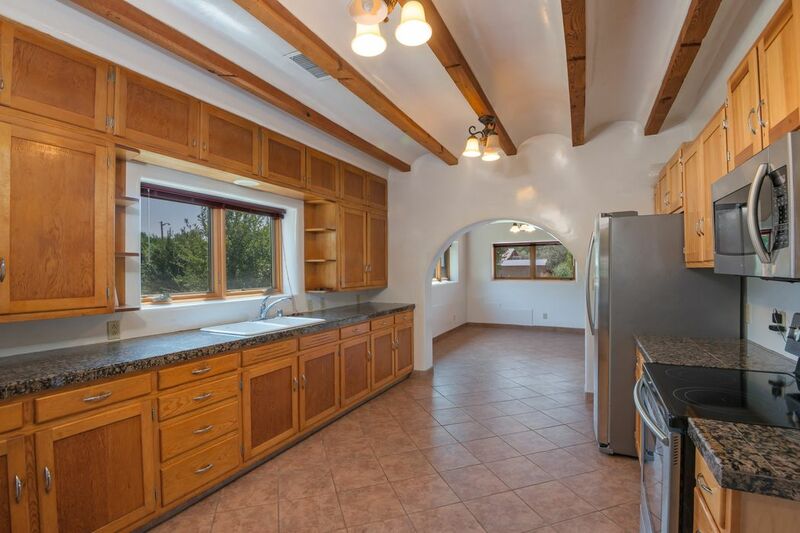 The cook's kitchen has a gas stove and an ample dining and eating area. 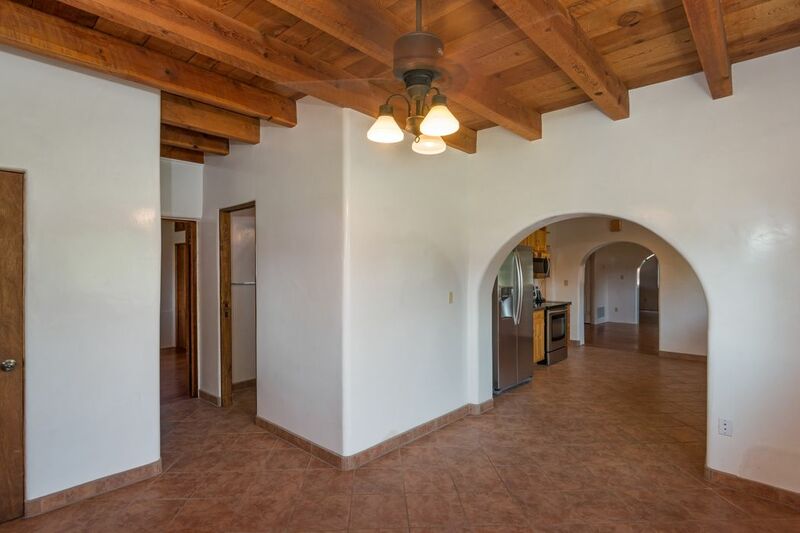 Tiled floors make the home of exceptional quality, along with hand-crafted diamond-back finish plastered walls. 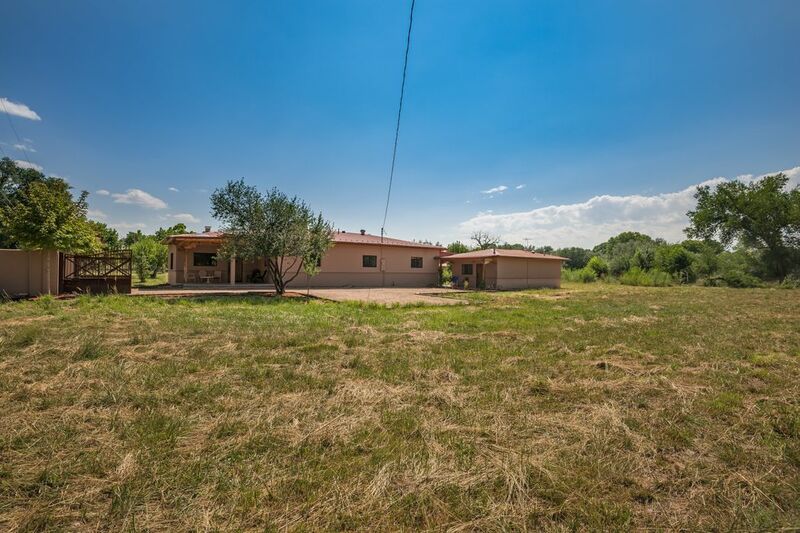 Ample acreage for horses. 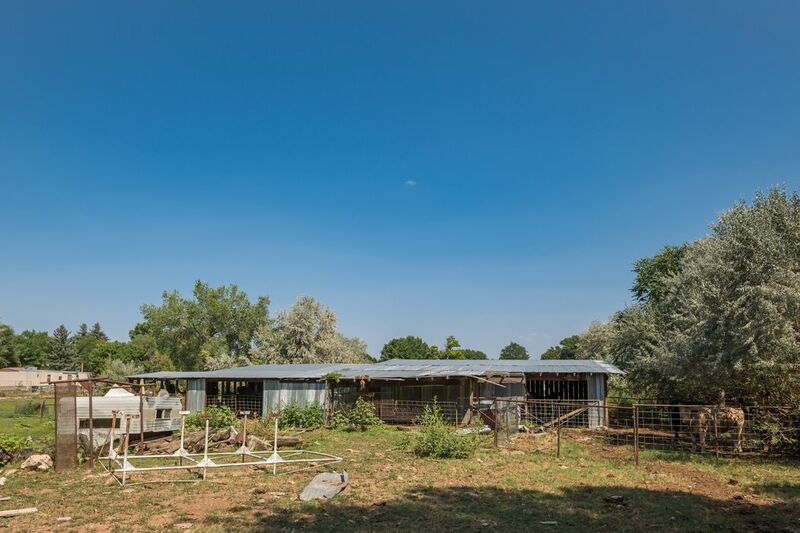 There are some older corrals and barns on the land. 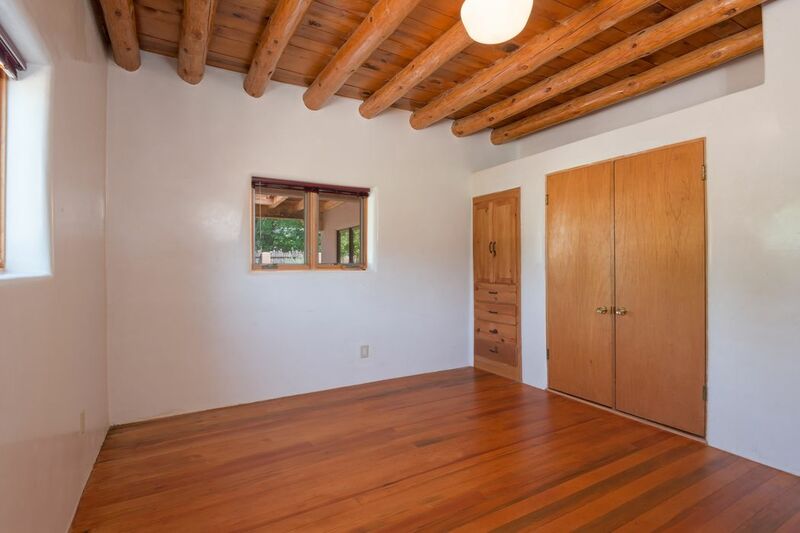 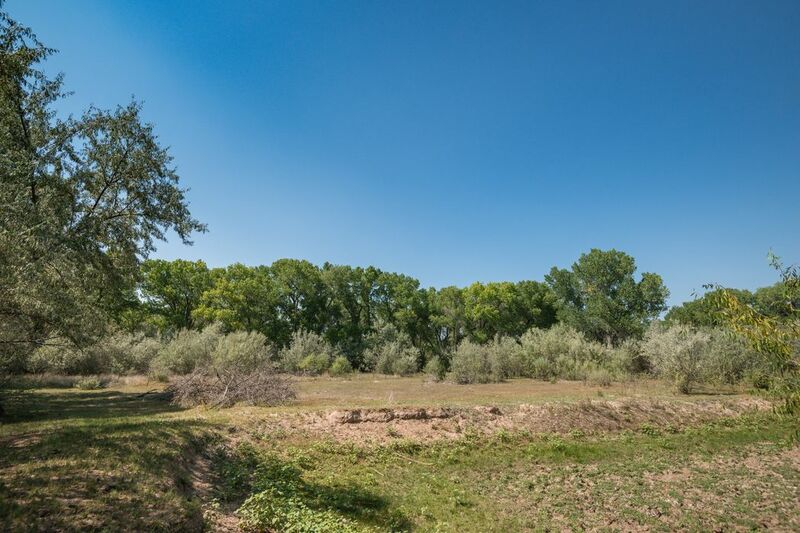 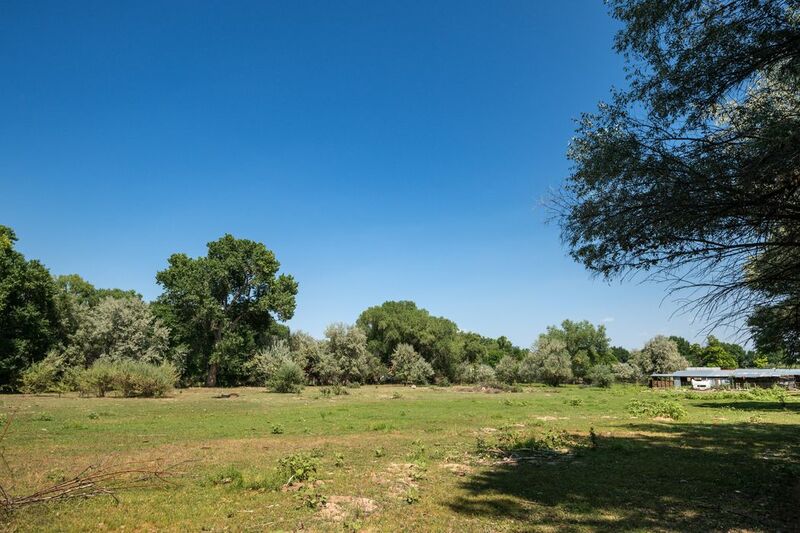 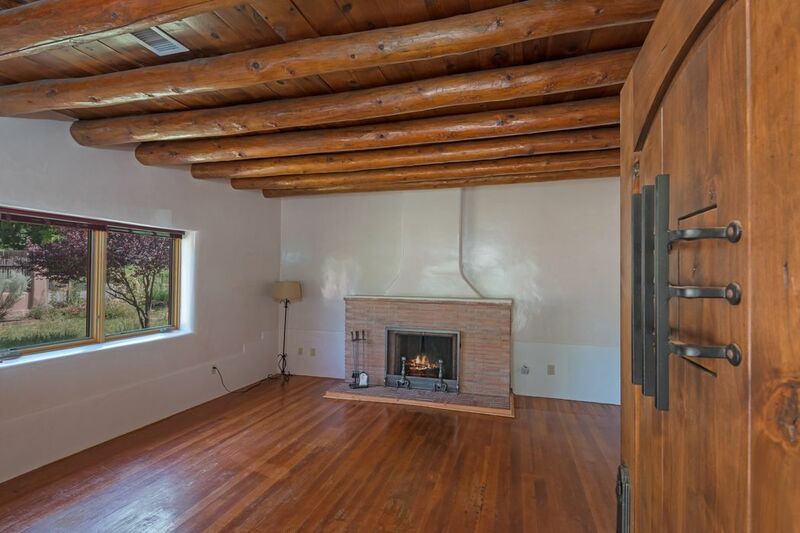 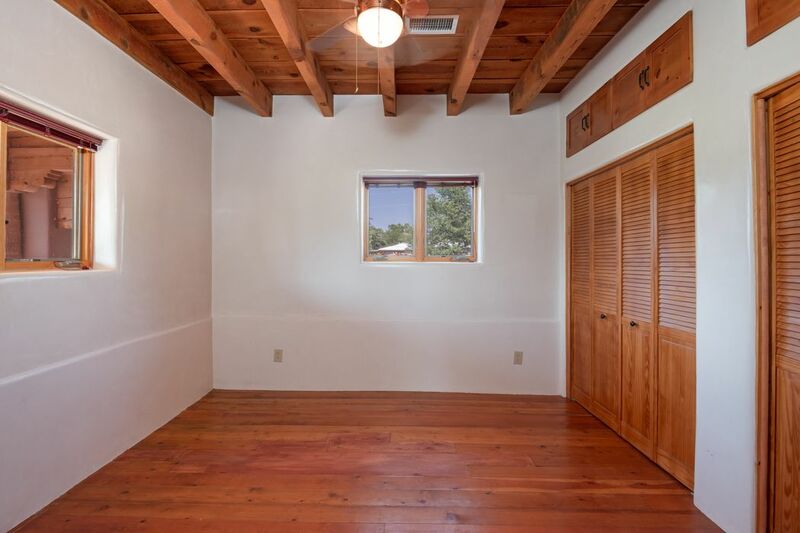 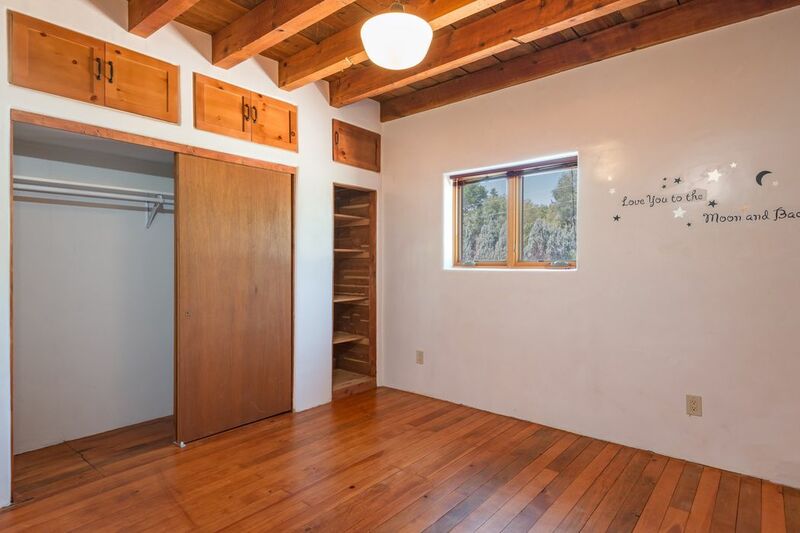 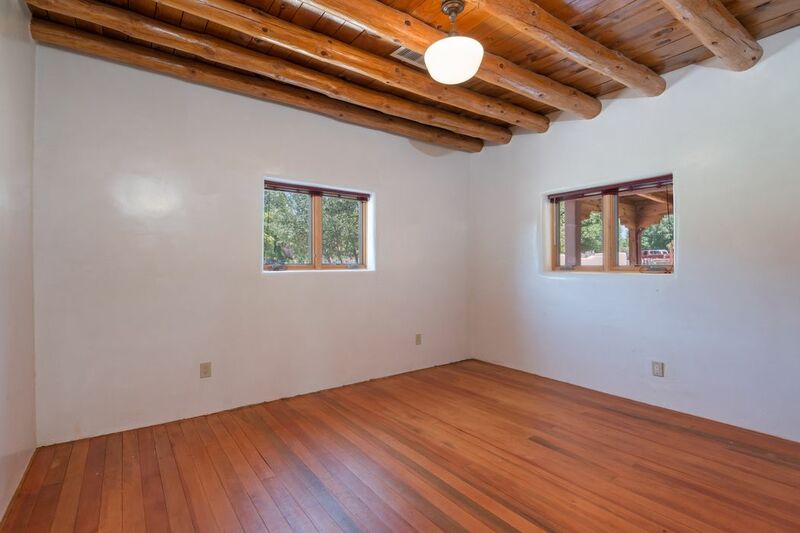 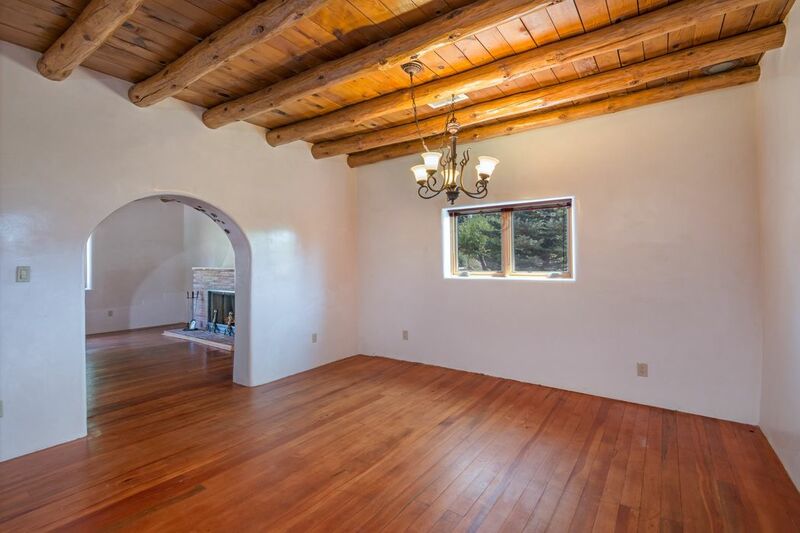 Only 30 minutes from Los Alamos and 40 minutes to Santa Fe.